Out of print in the U.S.! Digitally remastered edition of this 1983 album from the American Soft Pop duo. When siblings Richard and Karen Carpenter released their debut album in 1969, nobody could predict the enormous success they would achieve throughout the next decade. 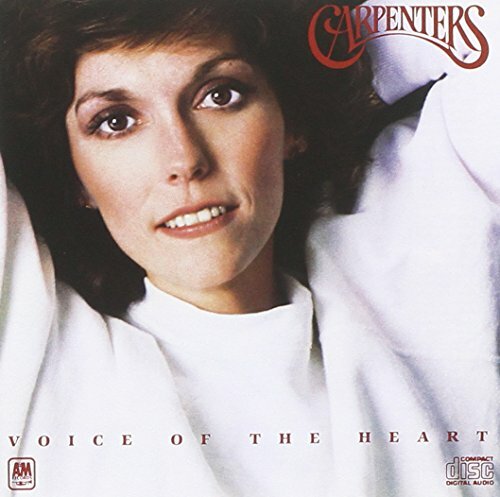 With Karen's angelic voice and Richard's stellar arrangements, The Carpenters became a musical force to be reckoned with. Their popularity spread from the U.S. to Europe, Japan, Australia and beyond. Even 25+ years after Karen's death, they are one of the most recognizable Pop duos in music history, and deservedly so. Voice Of The Heart was a posthumous album released after Karen's untimely death and consists of 10 previously unreleased tracks. Universal.